NTP Products AS manufactures and supplies insulators for electrostatic precipitators (ESP) worldwide. 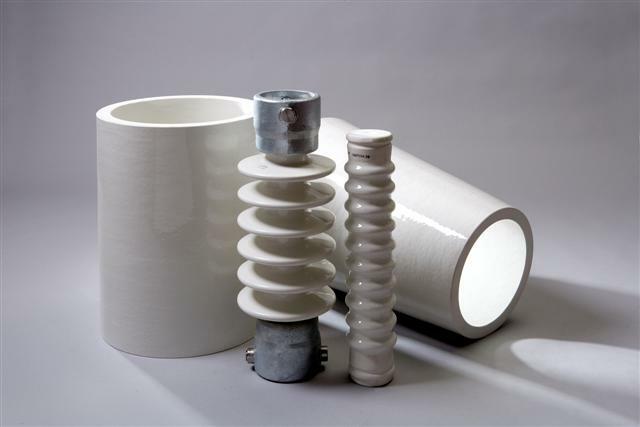 These insulators are made of a special ceramic material developed to operate at temperatures typically up to 400°C in a DC field and at voltages of 50kV – 150kV DC. THE ESP – HOW DOES IT WORK? Electrostatic precipitators use electrostatic forces to separate dust particles from exhaust gases in industrial processes. A number of high-voltage negative charged direct-current discharge electrodes are placed between positive charged collecting electrodes. The contaminated gas passes through the passage between the collecting electrodes, and the particles become negative charged and adhere to the collection electrodes. Cylindrical or conical support insulators are used for the suspension of the collecting electrodes and to provide insulation to the ESP housing. Rapper insulators are used to remove the accumulated dust on the collecting electrodes by hammer rapping (dry type ESP) into a hopper below the electrodes. The rapper insulators provide insulation to the hammer rapping motor while the mechanical force is transferred. Alternatively, water spray (wet type ESP) can also be used to remove the dust from the electrodes. The dust in the hopper is then discharged and transported by an ash handling system. THE ESP – WHERE IS IT USED? Electrostatic precipitators are used in the power industry like coal or oil fired power plants, or industries for other exhaust gas particles, such as cement works (dust), pulp & paper (salt cake & lime dust), petrochemicals (sulphuric acid mist), iron and steel works (dust & fumes), gas industry, refuse incinerator, aluminium refining and glass industry. Electrostatic precipitators are used successfully for the removal of dust from flue gases. At temperatures below 150ºC, traditional electrical porcelain ensures satisfactory operation, provided the insulators are kept clean. In flue gases conductive particles may precipitate (settle) on the insulator surface. Leakage currents may then start flowing along the surface, causing local heating of the insulator. The resistivity of traditional electrical porcelain is very high at room temperatures, but falls rapidly with increasing temperatures. Above 150ºC a strong DC-field will therefore result in a leakage current in the material. This will lead to further temperature rise, and eventually the breakdown of the insulator. Some precipitators operate at temperatures in the region of 150-400ºC. NTP Products has developed a material 51A especially for heavyduty performance in demanding operating environments such as for electrostatic precipitators (ESP). The material is excellent for use at high temperatures in direct-current applications because of high volume resistivity and high content of aluminium oxide. 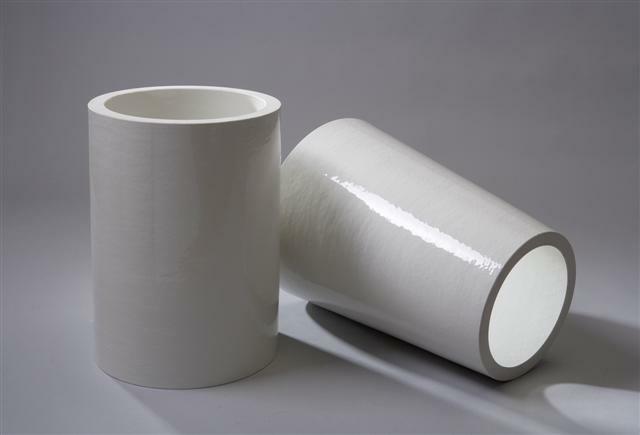 Compared to normal electric porcelain the 51A material reduces strongly the ionic migration at high temperatures and DC stress. 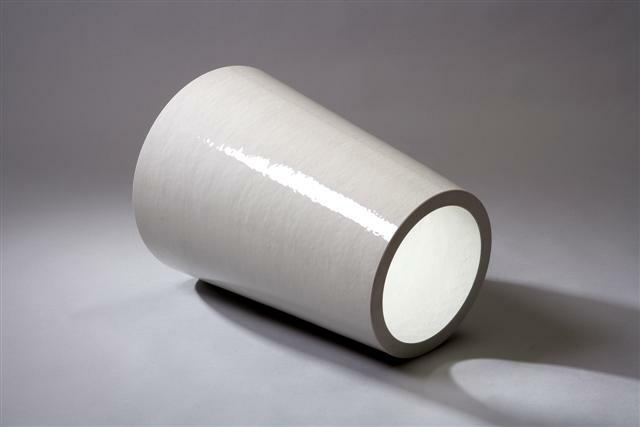 The material is available either glazed or unglazed, but we recommend glazed surface for all precipitator applications. The glaze has the same properties as the 51A body itself, i.e. no difference in volume resistivity. The 51A material has for many years been used by well known companies in the ESP-industry worldwide. High resistivity at elevated temperatures, i.e. very good insulating ability at high temperatures and direct-current reduces the possibility for electrical breakdown caused by current leakage, through the material. High resistance to thermal shock and low thermal expansion allow the insulators to resist cracking. Excellent mechanical strength and impact strength reduces failure due to mechanical stress. Glazed surface reduces the deposit of dirt and dust. Suitable for electrostatic dust precipitators working continuously in temperatures up to 400 °C under DC stress.